Last Monday night, the Kovalchick Convention and Athletic Complex welcomed its one-millionth patron since opening on March 4, 2011. Owned by the Indiana University of Pennsylvania, the Kovalchick Complex serves a regional population in Western Pennsylvania from its campus location adjacent to the Hilton Garden Inn. The Kovalchick Complex’s diverse programming and ticketed events have helped to draw visitors to Indiana, PA from across the globe. To mark the occasion, the lucky one-millionth patron, Frank Vitarelli from Reynoldsville and his son Louis Vitarelli, were welcomed by IUP and Kovalchick Complex representatives with confetti, balloons and celebration. Vitarelli had just decided to purchase tickets earlier that afternoon to attend with his son, who really wanted to see the WWE Live event occurring that evening. They received an exciting celebration and prize pack including two (2) tickets to all Kovalchick Complex ticketed events and free event parking for one year. Also, he received 2 season tickets for IUP Football and IUP Basketball, a $50 food voucher courtesy of Aramark to be used at the venue’s concession stands, and a one night stay at the Hilton Garden Inn, Indiana. Frank and his son also got the opportunity to go backstage and meet with WWE Wrestler, Sin Cara and were relocated to upgraded ring-side seats, compliments of the WWE Live tour. 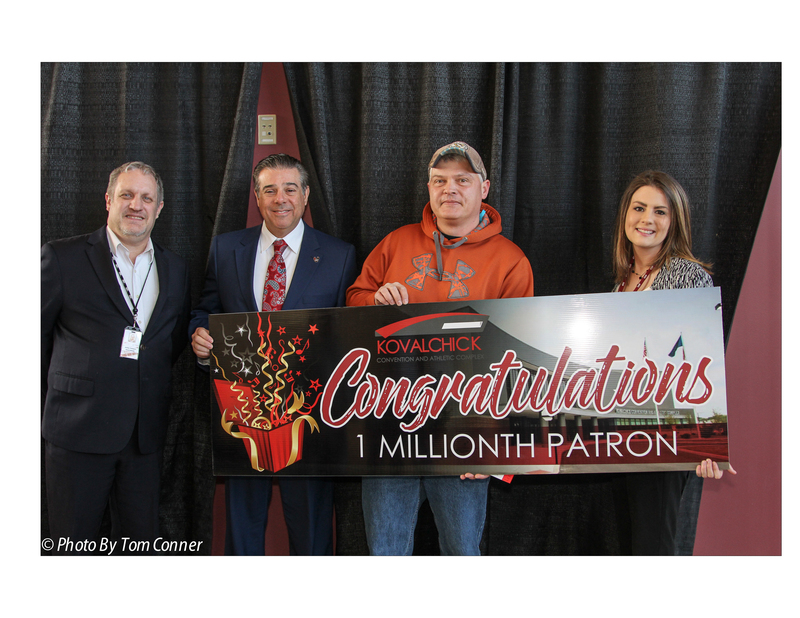 I was proud to be a part of the exciting celebration of our one-millionth patron,” said Sam Phillips, IUP Assistant Vice President for Administration. “This is an incredible milestone for any facility, and to achieve this in less than 10 years of operation is just incredible. It’s truly a testament to the hard work of the Kovalchick Complex staff and management, as well as reflection of the support from our partners and our patrons. An ideal venue for concerts, family shows, conferences, trade shows, sporting events, seminars and much, much, more. The Kovalchick Complex hosts over 150,000 patrons and 350 events annually at the Ed Fry Arena, Torretti Auditorium and Conference Center. The Kovalchick Convention and Athletic Complex received recognition this year by the NCAA as one of the best Division II Arenas for fan experience. The Pittsburgh Regional Alliance and NAIOP also named the Kovalchick Complex one of the twelve game-changing regional economic developments for western Pennsylvania in the past 25 years. 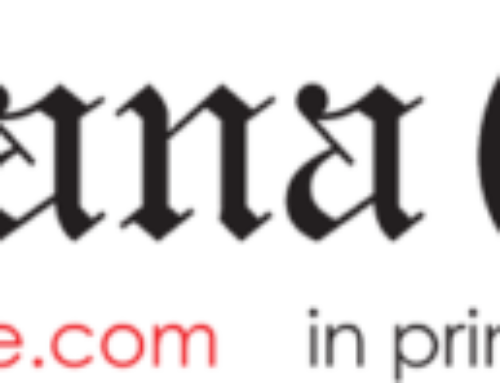 Recent events have also contributed to growth in visitation at the KCAC. This past fall, the Kovalchick Complex hosted their busiest event season in KCAC history. They kicked-off the 2017/18 fall season with a Lil Uzi Vert concert, which was sold out and the largest concert in the venue’s history. Throughout the fall they hosted national touring events like Aaron Lewis, Crowder, Rodney Carrington and the Beach Boys. From October through December, the Complex hosted 85 events with an estimated 30,000 guests visiting the facility. In recent weeks Menopause the Musical as part of the Live on Pratt Series in the Torretti Auditorium played to two sold out audiences. The Kovalchick Convention and Athletic Complex is located on the campus of Indiana University of Pennsylvania along Wayne Avenue in Indiana, PA. The multi-use facility opened March 4, 2011, and boasts 148,500 sq.ft. of event space with a 5,000 seat arena, 630 seat auditorium, over 17,000 sq.ft. of conference space with multiple breakout rooms, and a 6,000 sq.ft. Corporate Training and Executive Conference Center. 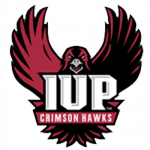 In addition to conference and entertainment events, the Kovalchick Convention and Athletic Complex is home to IUP Women’s Volleyball and IUP’s Men’s and Women’s Division 2 Basketball, which are regularly among the best teams in the nation.